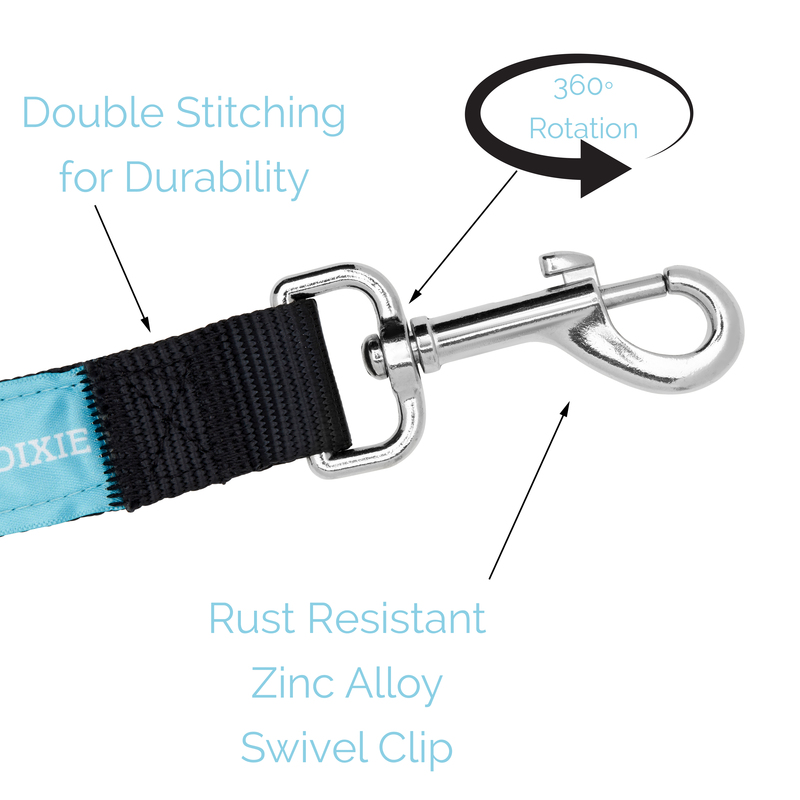 Take your pets along for the ride and drive stress free knowing that your pet is safely secured with their very own seat belt from Duke & Dixie. You might save their life one day! Does your pooch move around in your car while you’re driving? Do their attempts to try and sit in your lap cause a major concern and a distraction? Keep them safe and restrained in your car while still providing room for them to move and relax comfortably. Leave crates at home! These leashes safeguard your pet, are quick and easy to install, and allows them to move more freely without being confined to a rocky cage. Your dog can look out the window and enjoy the scenery without you worrying about him stretching too far, or he can lie down or sit comfortably without distracting you as you drive. Use both leashes to buckle larger pets from each side and create optimum protection and security while they ride in the back seat. Or you can keep one in multiple cars for smaller pets. Just attach the safety belt to your pets collar or harness and then snap the tab into the seat belt receptacle in your car. Avoid putting your pet in harm’s way should you have to make a sudden break or stop. This 2 pack of car seat safety belts also function as leash connector. Walk multiple dogs at the same time with ease. These pet leashes are also suitable for cats and other small animals. 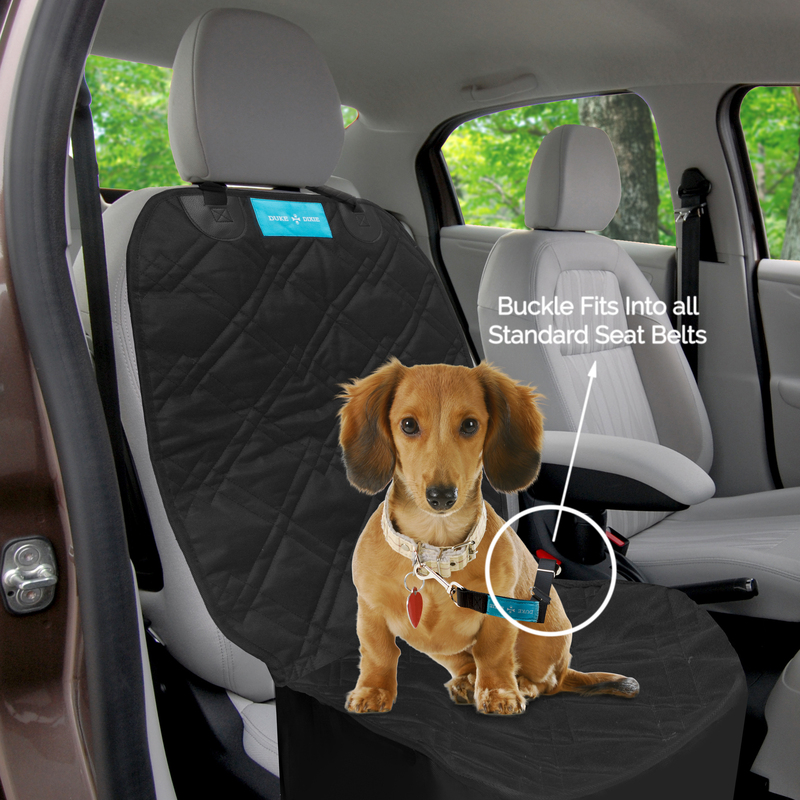 Protect and restrain your pet during bumpy car rides and keep them safe with a seat belt leash strap that buckles directly into most car’s seat belt clips. It could not be simpler to use these. Simply buckle the adjustable leashes into your seat belt slot and then attach the clip to your pet’s collar or harness. 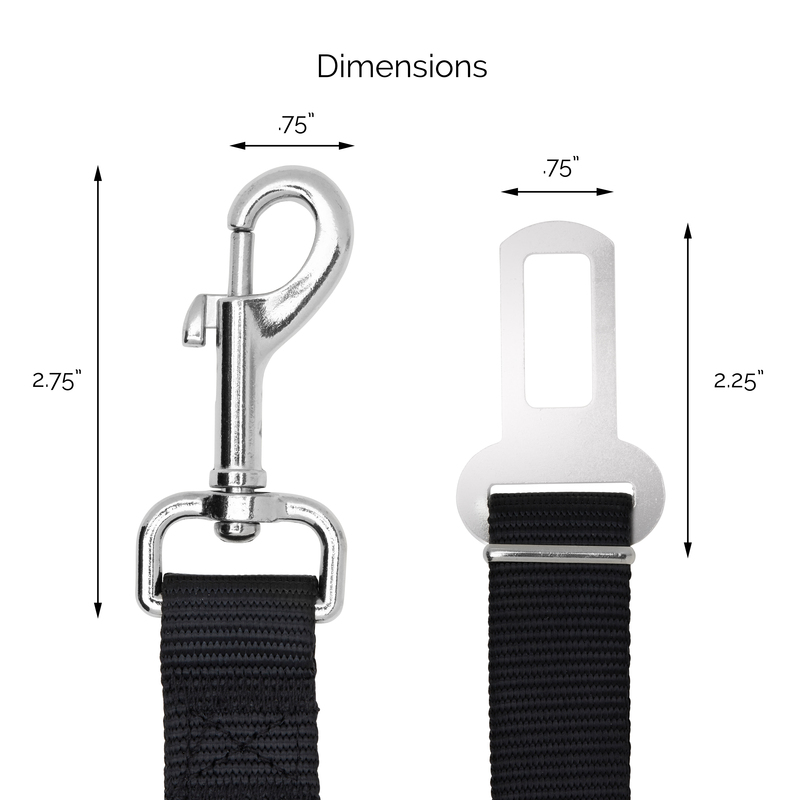 These leashes fit most cars, trucks and SUVs with a universal clip design (2cm). 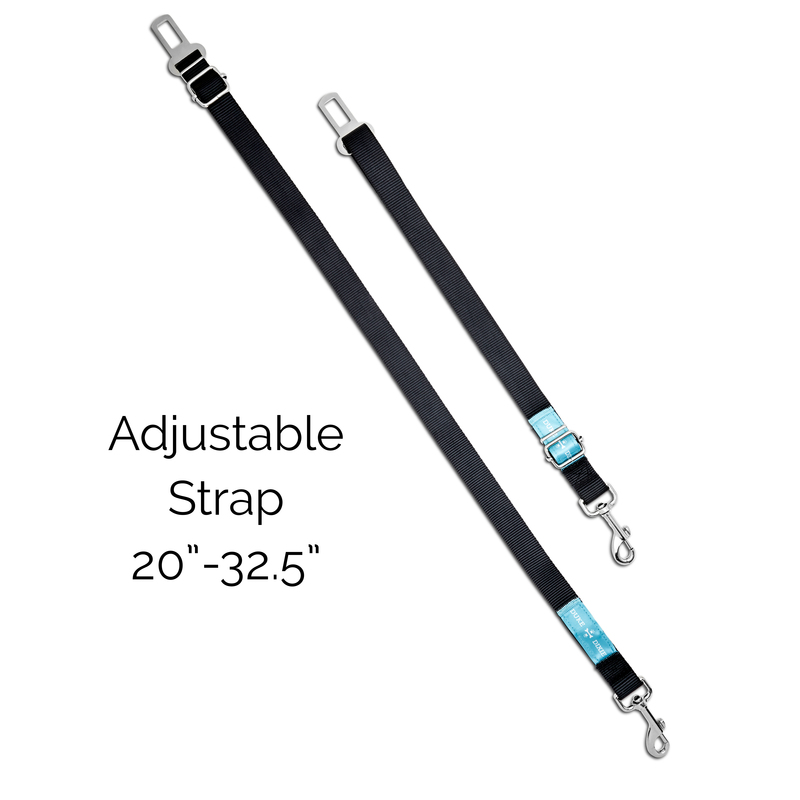 The length of each strap is adjustable from 16″ to 27″. 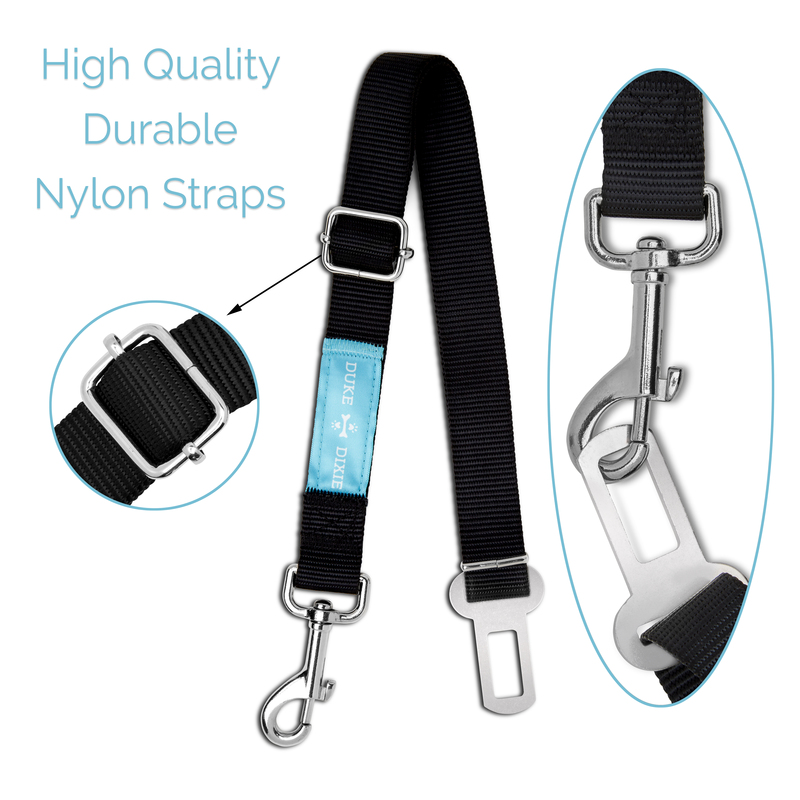 These safety lead belts are made with high quality nylon straps and zinc alloy buckles to restrain even large, heavy dogs. Easily adjust to your length. At Duke & Dixie, our goal is to design premium quality pet supplies that make life easier and more comfortable for pets and their families.